The developer has submitted these revised plans for a development of eight townhomes along Short St. (two would be affordable to households at 80% AMI) and two single family homes along Karen Rd. The Newton Planning Dept. has written this response to the plans. The developer is working to reach agreement with abutting neighbors regarding the plans and will discuss the revised plans at the next ZBA meeting on Thursday September 29th at 7pm at City Hall. Interested residents are encouraged to attend the meeting, at which there will be opportunity for public comment. On April 28th, the developer showed these slides to the ZBA regarding the revised proposal and updated the ZBA on his discussions with neighbors. The next ZBA hearing has been postponed until July 14th in order to allow the developer enough time to come back with more detailed plans regarding the revised proposal. The Newton Planning Dept. has posted information regarding the project here. The first ZBA hearing on the proposed 48-unit 40B development at 1521 Beacon took place on January 26. At that meeting ZBA members expressed interest in working with the developer to come to a mutually agreeable solution and asked a number of questions indicating concerns over certain aspects of the project (traffic, lack of green space, massing and setbacks) but also satisfaction with other aspects of the project (mix of different sized rental units, transit-orientated location). The ZBA also asserted (in a 3-2 vote) that Newton has met the 1.5% land area safe harbor of 40B, and the developer subsequently waived the right to appeal that assertion. As a result, the developer will generally be precluded from appealing the ZBA’s decision in this case. The developer's attorney tells us that he is hopeful they will reach agreement with the ZBA. We expect that the developer will submit additional information to the Planning Dept. in advance of the meeting (ie. possible revisions to the plans, additional traffic study information). We will pass along that information as soon as we have it. On August 27, 2015 the developer appeared before the Newton Historical Commission with a Request for Demolition Review. Mr. Buchbinder explained to us that this was done to simply to keep the developer's options open in the event he decides to pursue a different route than the 40B process, but that he was still planning to file a 40B application with the ZBA. At that meeting the Historical Commission voted to deem the building preferably preserved. Newton Senior Preservation Planner Katy Holmes presented information on the historcial background of the church (click here to view minutes on her presentation). Waban Area Council's Comment Letter regarding proposed development. 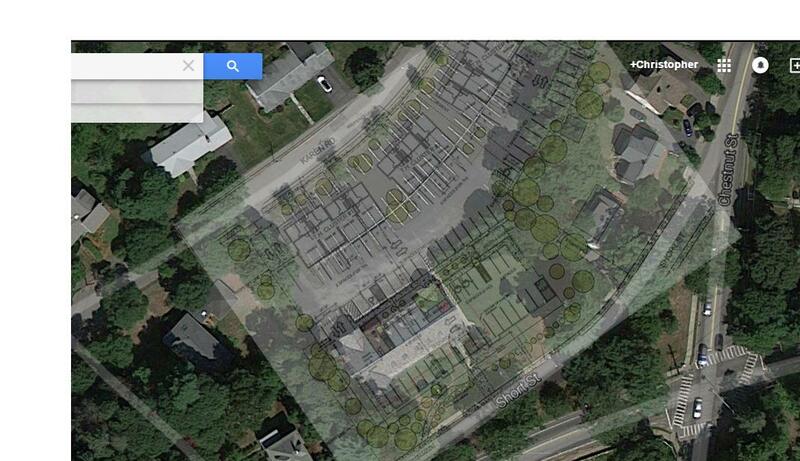 Newton Planning Dept's June 23 Comment Letter to MassHousing regarding the proposed development with comments. The developer has prepared an alternate proposal for the townhomes (sent to us on June 18, 2015) that can be viewed by clicking here. The rest of the drawings and plans can be found here. Waban AMA Realty Ventures LLC (the "Developer") plans to build a 48-unit rental housing development at 1521 Beacon St. (site of the former St. Philip Neri church) and is pursuing a comprehensive permit under Ch. 40B. Current plans are here. An alternate proposal for the townhomes (June 2015) can be viewed here. Pursuant to 40B's requirements, 20% of the development's units will be affordable to persons making 50% of Area Median Income (50% AMI for a household of 3 is currently $44,350). The Developer has received a Project Eligibility letter from MassHousing (issued on July 23, 2015) and on December 29, 2015 the developer filed an application with the Zoning Board of Appeals for a comprehensive permit under Ch. 40B. The ZBA hearing is scheduled to open on January 26, 2016. 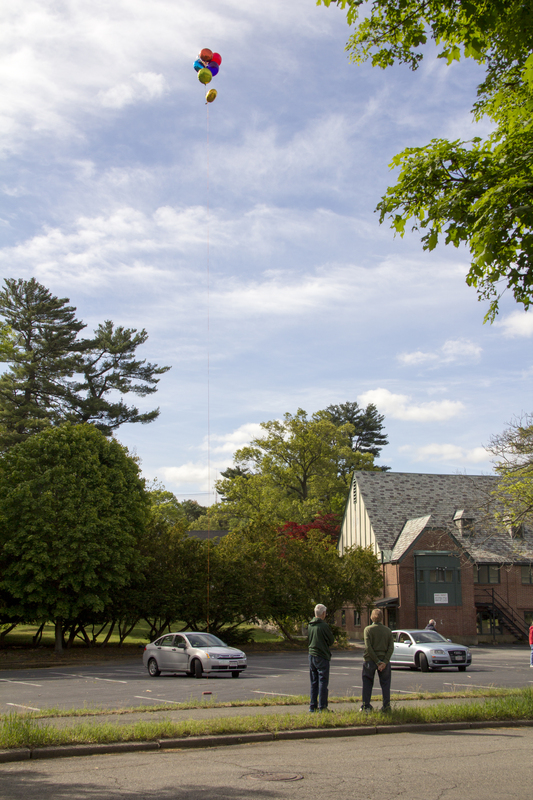 The City's webpage regarding the project can be viewed here (http://www.newtonma.gov/gov/planning/current/devrev/hip/beacon_street.asp). (To review WAC's 2014 presentation on the 40B and Special Permit process, click here). that the conceptual project design is generally appropriate for the site on which it is located, taking into consideration factors that may include proposed use, conceptual site plan and building massing, topography, environmental rousources, and integration into existing development patterns... 760 CMR 56.04(4)(c). The Dept. of Housing and Community Development has published Guidelines that help flesh out what "generally appropriate" means in this context (see pages IV-2 and IV-3). In addition, MassHousing along with other agencies, has published a "Handbook: Approach to Chapter 40B Design Reviews." A review of these documents will help residents understand what types of comments that might be taken into account by MassHousing during the Project Eligibility phase. Generally, comments related to existing infrastructure, environmental concerns, and how the proposed design could be modified to better fit the neighborhood should be taken into account. Comments related to rentals vs. ownership, increased municipal costs (including school costs), and overall neighborhood opposition will not be taken into account. To view the letter sent by the Planning Department to abutters of the property click here. To view the MAPC Fair Housing Toolkit click here. On May 16th the Developer hosted a community meeting at the Windsor Club to present plans and get feedback. A recording of the meeting is available above. On Friday April 10, Waban Area Council member Kathy Winters attended a meeting with the developer, Michael Argiros and his attorney Stephen Buchbinder. Also present were the developer's architect, Steven Allen of Prellwitz Chilinski Associates, Ald. Deb Crossley and Ald. John Rice. The purpose of the meeting was to present the most recent plans and discuss the status of the project. A number of issues were discussed. Those present generally agreed that the aesthetics of the large apartment building were an improvement over the previous drawings. Ald. Crossley asked that they consider ways to ensure that the parking garage is not visible from the Beacon St. side. A number of other possible aesthetic improvements were discussed, especially with respect to improving the appearance of the bottom portion of the apartment building. Various concerns with the plans were raised: (1) the overall size of the development, (2) the height of the buildings, especially the townhomes along Karen Rd., and (3) the potential traffic problems. With respect to the overall size of the development, the developer expressed a desire to keep the number of units at 48. As to the height of the townhomes (which are three and one-half stories), the architect explained that the height was driven by their desire to fit three bedrooms into each townhome, and that they could not reduce the height and still come out with 12 townhomes of three bedrooms each. Ald. Crossley urged the developer to present drawings showing the streetscape from various angles, so that people could see the relative height of these buildings to the surrounding homes. All of the representatives present said they would like to see the height of the townhomes reduced to better fit the neighborhood. Ald. Crossley pointed out that the cluster of townhomes at the east side of the property is very close to the abutting home. They discussed ways to reconfigure the grouping of townhomes to move that cluster back a bit from the property line. The architect explained that the single exit and entrance to the development on Karen Rd. is designed to lead traffic onto Beacon St. via Montclair Rd. They have engaged a traffic consultant to do a traffic study of the area (Randy Hart of VHB). Ald. Rice pointed out that a current traffic study will not give an accurate picture because the Angier school is currently closed. Ald. Rice said there are traffic counts that were taken before Angier was closed for construction that can be made available. Problems with the intersection at Montclair and Beacon were discussed, and Winters and Rice explained that a major concern of residents in the area is that traffic from the development will flow through the neighborhood to the north in order to get out onto Chestnut St. and to avoid the Montclair/Beacon intersection. Problems with Short St. were also discussed. The developer and his team talked about possibly closing off Short St. (while making accomodations for access by the homes along Short St.) and having a dedicated right turn lane onto Beacon St. from southbound Chestnut St. All of the representatives urged the developer to have his traffic consultant consider ways to make the Montclair/Beacon St. intersection safer and more effective so that traffic from the development stays out of the neighborhood to the north. Plans for the May 6, 2015 community meeting were discussed. The developer's attorney, Steve Buchbiner, will run the meeting. They will present the current plans to the public will allow some time for comments and questions. Immediately after the meeting, the developer and his team invited the local representatives to stay for a planned meeting with members of Engine 6, a group of Newton residents who advocate for housing diversity and affordability. Kathleen Hobson was the only Engine 6 member able to attend. Ald. Rice had a prior commitment but both Ald. Crossley and Kathy Winters stayed for that meeting. Aspects of the development related to housing diversity and affordablilty were discussed -- ie, the size of the units, the mix of studios, 1BR and 2BR units in the apartment building, the requirements of MassHousing to evenly distribute the affordable units among the development. Ms. Hobson also raised many of the same issues that were discussed at the prior meeting -- traffic issues, ways to improve aesthetics, and concerns about the height of the townhomes relative to the surrounding homes on Karen Rd. On Monday March 30, 2015, Michael Argiros (owner of the SPN property) and his attorney Stephen Buchbinder met with members of the City's Planning Dept. to discuss his plans to build a 48-unit rental development at the SPN site (a recap of that meeting can be found by clicking here). Mr. Argiros plans to pursue a comprehensive permit under Mass Ch. 40B, and 20% of the units will be affordable to persons earning 50% of area median income (AMI). Mr. Buchbinder indicated that they plan to initiate the 40B process in late April by requesting a letter of project eligibility from the appropriate state agency. Mr. Buchbinder said his client would like to hold a community meeting in early May in order to present his plans to the community and solicit feedback. The current plans can be found here. While the current status of Ch. 40B's application in Newton may be in flux, Mr. Buchbinder has asserted that his client is prepared to pursue a 40B permit application even if it is clear that the City has met Ch. 40B's 1.5% land area threshhold (see below). In that case the ZBA would have considerable discretion to grant or deny the permit, or to impose conditions or restrictions on the permit. As a general matter, Mass Ch. 40B enables a local Zoning Board of Appeals (ZBA) to approve affordable housing developments under flexible rules if at least 20-25% of the units have long-term affordability restrictions. If a communtiy has failed to meet one of two state-mandated threshholds for affordable housing, then the ZBA's discretion to deny a comprehensive permit or impose conditions or requirements on the permit is heavily restricted. Those threshholds are: (1) at least 10% of the community's year-round housing stock consists of units listed on the state's subsidized housing inventory (SHI), or (2) SHI eligible housing exists on at least 1.5% of the community's buildable land area. In late 2014, the Newton ZBA asserted in the Rowe St. development case that the 1.5% land area threshhold has been met in the City of Newton. The Rowe St. developer appealed to the Dept. of Housing and Community Development (DHCD), and DHCD ruled in favor of the developer, concluding that the Newton ZBA had not adequately substantiated the claim that SHI exists on at least 1.5% of the buildable land area in Newton. The ZBA appealed the DHCD decision to the Mass. Housing Appeals Committee (HAC). The HAC has not yet ruled on the appeal. Either party can appeal the HAC ruling to the courts, but not until after the ZBA completes a full hearing on the Rowe St. case. On Friday, February 27, 2015, WAC member Kathy Winters met with Stephen Buchbinder, the attorney for Michael Argiros, owner of the SPN site. The purpose of the meeting was to discuss the status of the proposed development. 12 townhouse units in three clusters along Karen Rd. 36 units in one apartment building along the Beacon St. side. The apartments in this building would be a mix of studio, one-bedroom and two-bedroom units. 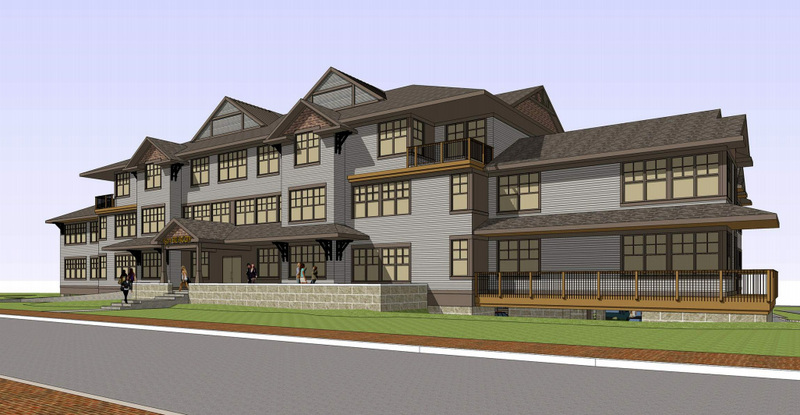 According to Mr. Buchbinder, in response to comments received from neighbors regarding previous drawings, they are working on design changes to make the apartment building appear more residential and less institutional. His client is also taking steps to complete a traffic study. As far as timing, Mr. Buchbinder cannot say with any certainty when his client expects to initiate the 40B process, but that it could possibly happen later this spring. Mr. Buchbinder said that he would like to hold a community meeting to discuss the project once the project eligibility paperwork is filed. The St. Philip Neri Working Group of the Waban Area Council, consisting of three Waban Area Councilors, is interested in facilitating timely communication between Waban residents and the property developer about the progress of the development of the St. Philip Neri site. Even before the property was first purchased by West Roxbury developer, Michael Argiros, principal of Charles River Realty Group, the Council had queried the Newton Planning Department regularly and, post purchase, the developer’s counsel, in an attempt to learn of possible uses for the site. After recently exchanging e-mails with our Ward 5 Aldermen and the City of Newton Planning Department (which e-mails are viewable on the Area Council website at wabanareacouncil.com), this group reached out a second time to Steve Buchbinder, the attorney representing the developer, who agreed to coordinate a meeting with the Waban Area Counsel Working Group, Ward 5 Alderman John Rice, Mr. Argiros, and Mr. Argiros’ associate, Ian Gillespie, of Gillespie and Co., Concord, MA. That meeting took place on September 18, 2014 in the offices of Schlesinger and Buchbinder with Councilors Sallee Lipshutz and Kathy Winters and Alderman Rice able to attend. 1. To avoid a possible one year delay if the development of the property were deemed to be both historical and preferably preserved by the Newton Historical Commission. 2. The Special Permit would require a change of zone. If the proposed project did not fit within an existing zone, the developer would need to seek the creation of a new zoning district. That necessity could add up to a year to the process. 3. The Special Permit is, by its nature, more politicized. Attorney Buchbinder assured that the developer DOES very much wish to meet with the community and is willing to incorporate suggestions into the planning. The developer would like to pursue the development as a friendly 40B with a small “f”, as opposed to a Friendly 40B with capital “F”. A Friendly 40B with a capital “F” has legal implications that safeguard the early inclusion of community input and the City’s effectiveness in modifying a developer’s proposal. The developer, however, cautioned that the Friendly 40B is more politicized. That said, the developer has agreed to think further on this point. Attorney Buchbinder suggested that Mr. Argiros would be prepared to meet with the wider Waban community by late October or early November at a meeting facilitated by the Waban Area Council and possibly held at the Windsor Club in Waban. Mr. Buchbinder also suggested the developer’s support of publicizing this meeting with an ad in the Newton Tab. As to a possible timeline, the developer is not yet ready to apply for the 40B site eligibility letter and doesn’t anticipate doing so until late October or early November. He anticipates a hearing with the Newton Zoning Board of Appeals in the spring. He also has indicated that he has not yet identified the Subsidized Housing Agency that would be a part of the application for a 40B. 1. Twelve 3-bedroom townhomes in 3 clusters of four townhouses facing Karen Road, built to resemble 3 architecturally varied Victorian homes. Each townhouse would be 3 stories high and would have 2 parking spaces entered from the rear and 2 outside spaces as well. 2. Thirty-six studio, one-bedroom and two-bedroom units in a four-story building facing Short Street and including one elevator in the center of the lobby and with some underground parking and other above grade parking not visible from Short Street or Karen Road. This building would occupy a wider and taller area than the present Church building on the site. A bicycle storage area has been included in the plans. All motor vehicle ingress and egress from the site is proposed to be from a single driveway on Karen Road. The present plan calls for approximately 105 parking spaces, but the developer is somewhat open to reducing that number. There is no plan to restrict the units to “seniors” or any other designated group. In a 40B development, 20-25% of the units would be “affordable housing” and Mr. Argiros pointed out that 3 of the townhouses would be in that category, while 9 would be market rate rentals. Of the 36 units in the larger building, we assume (although it was not stated) that 9 would be “affordable” and 27 market rate rentals. The developer will carry out a traffic study to determine feasibility of integrating the renters’ projected motor vehicle needs with the current needs of community residents. We alerted the developer to the site’s traffic weaknesses at Karen and Montclair Rds., at Montclair Rd. and Short Street, and at the two intersections of Moffat Rd. and Chestnut Street and Oakvale and Chestnut Street. This meeting of the above several close by neighbors of the St. Philip Neri property with the owner and developer of the property was held in the offices of Attorney Stephen Buchbinder at 3pm on September 22, 2014. Mr. Argiros explained his preliminary plans to request zoning relief through the 40B process in order to develop the St. Philip Neri site with twelve 2 ½ to 3 bedroom rental townhouses in 3 Victorian style buildings facing Karen Road and 36 rental units in a larger building facing Short Street containing 6 studio apartments, 16 one-bedroom apartments and 14 two bedroom apartments. Mr. Buchbinder emphasized that the development plans are in the very early stages and that the developer was seeking a 40B because he identified two obstacles to the Special Permit process: 1.) The year’s delay that the Historical Commission could impose if the property were issued a demolition delay and 2) the possible need to change the zoning under the dimensional requirements of a Special Permit. On the second point, Mr. Buchbinder said that, if they can do a "map change" to move this into a zone where the development would work, they'd be fine, but if they have to create a new zoning district (as they did with Riverside), that would take 12 months. Since the developer strongly favors demolishing the present building, even after waiting for a demolition delay of one year, he was asked whether community support for the demolition of the Church building could persuade him to consider applying for a Special Permit instead of seeking 40B relief. Mr. Argiros responded that he might be able to make that work if the abutting neighborhood could support his development. Mr. Buchbinder stated that he would be able to approach the Historical Commission asking for a waiver four months into a demolition delay if he could show the Commission that there was a development plan which the developer was willing to put on hold to wait until the remaining delay time had passed. (In other words, the building would definitely be demolished because the developer would wait out the delay time.) He felt that the Commission would then work with the developer and demolition might proceed. Mr. Argiros then suggested that 24 upscale townhouse units with a daytime Resident Manager and a shared common area in the center of the property could be financially viable. These units might be able to be built within the existing zoning of the property and not require a new zoning designation (which could delay the project further). Mr. Argiros expressed his desire to retain ownership of the property and not to sell it. He said that the units could range from 2400 sq. ft. to 3200 sq. ft. in size and they would all be rentals, a market he saw as underserved in Newton, especially for empty-nesters. Under the City’s Special Permit process, 15% of the units would be available as affordable units and 85% at market rental rates. The architectural firm he is engaging is PCA, a Cambridge, MA firm. Mr. Argiros is currently interviewing traffic experts to engage them to carry out a traffic study. Traffic concerns raised by the neighbors were documented by Mr. Buchbinder who assured the neighbors that the traffic engineers would be made aware of the issues that the neighbors raised. Some specific traffic study issues raised included: the fact that Angier construction could bias traffic counts on Beacon St.; the dangerousness of the Montclair/Short/Beacon St intersection; the dearth of reasonable “escape” routes from the “Waban Valley” neighborhood; the congestion on Montclair on weekends with sports leagues heavy use. Alderman Rice indicated that Newton’s Director of Transportation would also be carrying out an independent traffic study. Three other concerns that the neighbors raised as important for the developer to address were: 1)architectural – the project should be designed to “fit into” the neighborhood with architectural detail akin to neighboring houses; 2)landscaping – the project should offer privacy and be appealing to the surrounding neighborhood; 3)infrastructure – neighbors spoke of the high water table and the need for careful sewer and storm water study, especially since there had already been flooded basements during new construction in the area and there were several underground streams that had caused problems in the past. Mr. Buchbinder stated that there would be several more meetings to inform more of the close by neighbors of the development plans as they evolve and to hear their concerns. He reiterated that the development is at the very early stages and input was welcomed and found to be helpful and that nothing was written in stone. The second meeting with nearby neighbors will be coordinated by Waban Area Councilor Kathy Winters with Steve Buchbinder. The timetable for a larger, community-wide gathering remains sometime at the end of October or early November. This meeting of the above-named abutters and neighbors of the St. Philip Neri property and the owner and developer of the property was held in the offices of Attorney Stephen Buchbinder on October 2, 2014 at 7pm. Mr. Argiros presented his preliminary plans for a 40B rental development of 48 units (see notes of previous meetings for complete description). The abutters and neighbors raised several concerns and objections regarding: (i) the number of units, (ii) the large massing of the apartment building along Short St., (ii) the potential exacerbation of existing traffic problems around the site, (iii) water issues at the property relating to blocked storm drains, the overall water table and the location of the east branch of Cheesecake Brook. The neighbors asked Mr. Argiros to reconsider his plans for the development and consider building single-family homes or a smaller development. While he has ruled out building single-family homes, Mr. Argiros and his attorney said he would consider whether to pursue a smaller development of townhomes with less massing and density under a Special Permit (rather than 40B). Mr. Buchbinder explained that a Special Permit would require significant neighbor support as well as support from City officials for the project. Mr. Argiros would only be willing to pursue the Special Permit if he could avoid the one-year demolition delay that could result from the Historical Commission’s designation of the church building as “preferably preserved.” (The 40B Comprehensive Permit process bypasses the Historical Commission). Mr. Argiros will continue to meet with small groups of neighbors in the coming weeks and expects to make a decision about the path he wants to take within the next month or so. At that point he would like to hold a larger community meeting. Abutter Deb Karl asked for the property lines to be clearly staked out and Mr. Argiros agreed to do that in the coming weeks. The neighbors also raised concerns about the ongoing maintenance of the property. Mr. Argiros promised to keep up with the landscaping and snow removal and asked the neighbors to contact him if they felt that work was not being done.